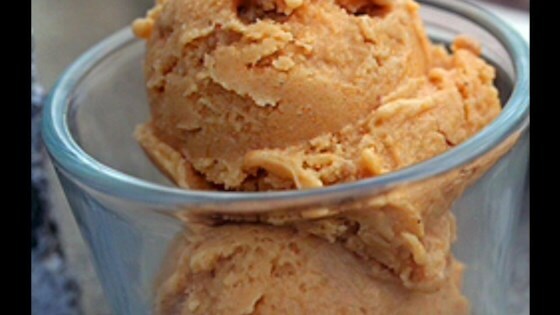 "This rich and creamy pumpkin-pie ice cream is vegan! You can make the recipe with all soy milk instead of soy creamer. It would be healthier, but less creamy and decadent. You can also use rice, almond, or another non-dairy milk instead of soy. Please note that while the prep and cooking times are short, you will need to let the liquid cool and then freeze it, which will take additional time."